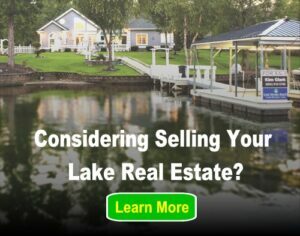 Many lake homes have pools allowing the homeowner to enjoy a private dip, but a pool, just like any body of water, can be very dangerous. According to the National Safety Council, nearly 600 adults and children drown every single year in swimming pools. However, if you know the rules and understand the importance of pool safety then you can make this number go down tremendously. Sometimes common sense is not used and dangerous events could occur. Listed below are some pool safety tips that will keep you and your children safe over those fun summer months in the pool. 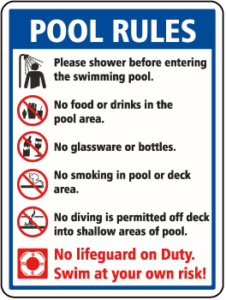 One of the most important things you can to do to prevent pool accidents from occurring is to study up on the codes and ordinances in your community as well as what their specific requirements are. This will assist you in preparing a guideline and establishing a set of rules for your pool. Be sure and also familiarize yourself with the National Safety Council’s Water Safety Tips. You must be very careful when you are choosing the materials of your pool equipment. Items such as ladders, diving boards, and deck of your pool must all be made from non-slick materials. This will help prevent any unnecessary slips and falls. A great deal of injuries that occur near water happens because a portion of the pool area was slippery. This could be very easily prevented by the materials you choose. Most pool owners do not know this but it is required that you have a ladder at both sides of your pool. This will give swimmers quick access if they need to get out due to an emergency. It is an absolute must that these ladders have handrails that a child can grasp so they must be small. One other aspect of the pool ladder most people do not know is that the steps must be at least 3 inches wide. Following these basic guidelines will help you to ensure that access both in and out of your pool are easy. While there is no national law regarding pools and fences, many states have laws in place requiring a barrier around the pool to prevent small children from entering unsupervised. The U.S. Consumer Product Safety Commission has released a Safety Barrier Guidelines for Residential Pools that can help you better understand regulations. Make sure that you take the time to clean your pool on a regular basis as well as maintaining the equipment. This means that you must check for any broken equipment such as ladders and any other materials that are worn out or missing. Make sure also that your children know some basic pool etiquette. No pushing, of course, and no running or horseplay. These activities are the most common reasons why young children fall in the pool and get hurt or drown. Following these basic guidelines for safety will help you and your family stay safe at the pool.